We’ve dedicated over 30 years of research and experience to create really effective diet plans that enable you to achieve your goals, balance your nutrition and enjoy what you’re eating – which helps to keep you motivated. Our expert weight plans feature our total dietary replacement (TDR) Foodpacks, which are high in protein and give you your vitamins, minerals, fibre and essential fats and carbs. We’re continually developing our Foodpacks to make sure that with LighterLife you’re getting the best quality TDRs on the market. And did we mention they taste great, too? 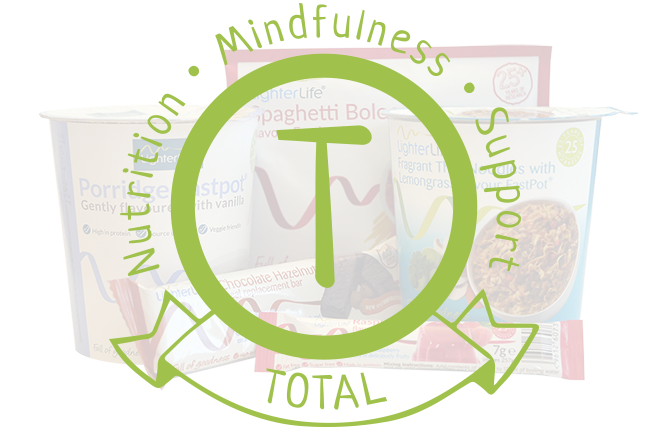 On our premium plan, Total, your ordinary daily food is replaced with four LighterLife TDR Foodpacks. Depending on your choices, packs will give you at least 50g protein, a minimum of 50g carbohydrates, around 17g fats, an average of 14g fibre, and 22 - 28 vitamins and minerals every day. 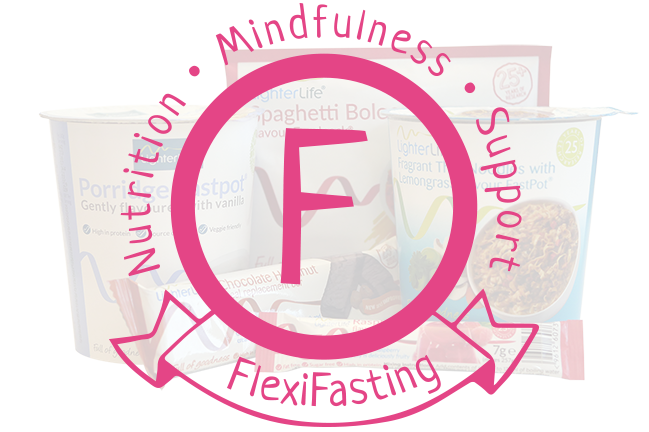 FlexiFasting is as flexible as you want it to be. 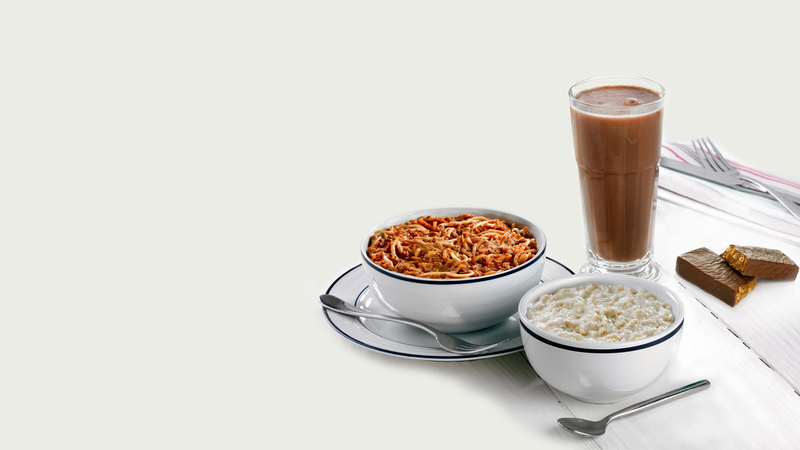 You choose how many Foodpacks you have along with conventional food choices. 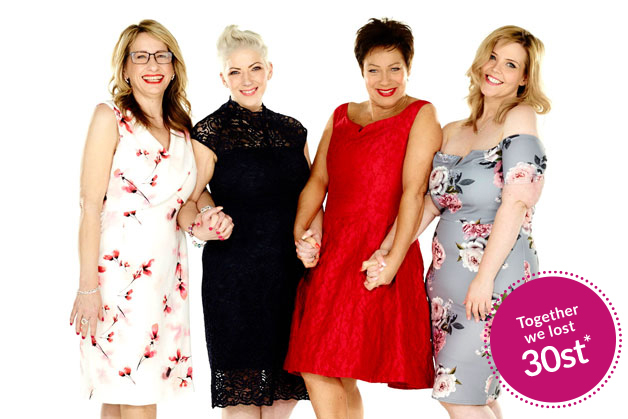 After you’ve reached your goal, we have a range of versatile plans to help you maintain your new weight in the long term. Our unrivalled support includes our delicious Foodpacks, Management meals and snacks, and free Xpress Slimming Club meetings. We’re continuously experimenting with new Foodpack flavours and improving our recipes. Our in-house team is led by Head of Nutrition and Research, Dr Kelly Johnston, and every single new and revised product is thoroughly tested to ensure it’s balanced and tastes great. All our Foodpacks meet all national and EU regulations and directives, and we have our products independently tested to ensure these stringent specifications are met, so you can be sure that all the nutrition you need is in every Foodpack. To find out more about our research, click here. Calcium, magnesium, phosphorus, potassium and vitamin D for healthy teeth and strong bones. Iron to help support your immune system and reduce tiredness and fatigue. Potassium to help you maintain normal blood pressure. Selenium and iodine to promote normal thyroid function. Vitamin A, riboflavin and zinc to support healthy vision. Biotin, pantothenic acid, thiamin, niacin and copper to maintain a normal energy-yielding metabolism. Vitamin C to increase iron absorption.